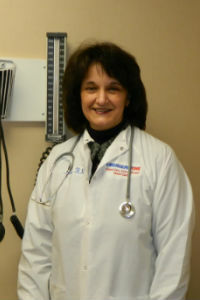 Ms. Riccio is the Clinical Director of Emergency One Urgent Care Center. Ms. Riccio has over 30 years of experience in nursing and is responsible for the development, management and supervision of all clinical staff. In her role as clinical manager, Ms. Riccio works with all physicians, nurses, and specialists to insure that all patients receive the highest quality of care to insure customer satisfaction. In addition, Ms. Riccio is responsible for implementing all clinical care guidelines and quality outcome measurement systems. During her tenure at Emergency One, Ms. Riccio was clinical director of Woodstock 94 and was responsible for the coordination and management of nursing, EMT and first aid staff. Ms. Riccio received her Bachelor’s degree in Nursing from Russell Sage College and has attended The Sage Graduate School, taking classes in Healthcare Management. Ms. Riccio holds certifications in advanced cardiac life support, basic cardiac life support and is a certified breath alcohol technician.